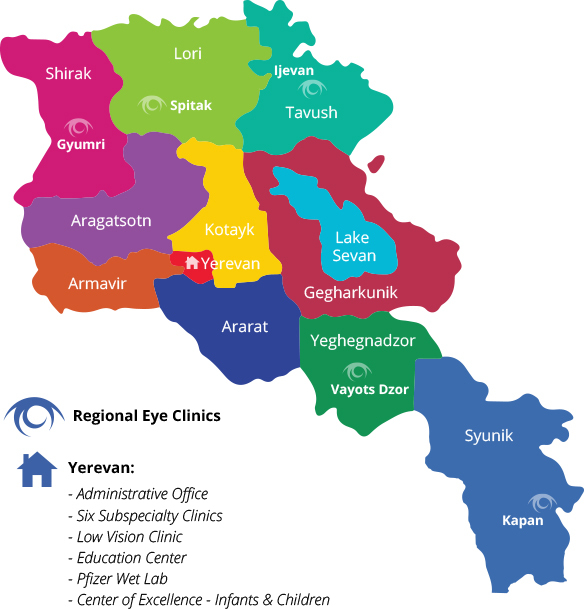 Last year, the Armenian EyeCare Project noticed an incredible need for cornea transplants among patients in Armenia. Because of this need, we began a special Cornea Transplant Program, asking donors to sponsor the surgery for those in Armenia who needed it — a cost of $800 for one procedure. The outpouring of support has been tremendous. Below are the stories of three Armenians who received cornea transplant surgery because of your generous support. Thank you to each donor who has contributed to this program. 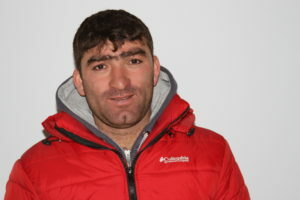 These Armenians have sight because of you. Nargiz started experiencing vision problems while pregnant with her daughter. Diagnosed with keratoconus, the young mother was told the only solution to getting her sight back would be a cornea transplant. With a six-year-old son that would soon start school and a two-year-old daughter that needed constant attention, Nargis was desperate to fix her sight. Nargiz didn’t imagine her dream would soon come true. On December 28, 2016, Nargis was able to receive a cornea transplant thanks to our wonderful donors. Dr. Anna Hovakimyan, AECP fellow and Chief of the Corneal-Uveitis Clinic at the Malayan Ophthalmological Center in Yerevan, performed the procedure on Nargiz’s right eye with great success. Ara’s vision problems started two years ago, while working in a quarry. Blurred vision and pain led him to visit a local doctor in the policlinic of his small town. Referred to the Malayan Ophthalmological Center for a detailed exam, Ara was soon diagnosed with keratoconus in both eyes. A cornea transplant was the only way to restore his vision. Then, Ara learned of the Armenian EyeCare Project and our cornea transplant program, which allowed donors to sponsor a patient in Armenia to receive the procedure. “That gave me hope,” Ara said. Last July, a cornea transplant was performed on Ara’s right eye. Now, months after the surgery, Ara’s vision has improved a lot. He can easily see the first three lines of the eye chart and his sight continues to get better each day. “I am more self-confident and optimistic,” Ara said. Though still in need of a transplant in his left eye, Ara says he no longer feels alone in his struggle and knows he can rely on kind people who are ready to help. “Words are not enough to express my gratitude to the AECP staff and those kind people whose generous contribution brought my sight back,” Ara said. About three years ago, Nuritsa started experiencing vision problems. The 67-year-old received cataract surgery in both eyes, but it wasn’t enough. Nuritsa’s vision was still blurred. Later, she was diagnosed with keratoconus. Before these issues, Nuritsa would invite her family over for big dinners with plenty of food and enjoy quality time spent with them. But because of the pain from her eyes, she had no desire to cook for her loved ones or host them. A cornea transplant was the only solution to restore her sight and do away with the pain. The AECP started looking for a donation that would make Nuritsa’s transplant possible. 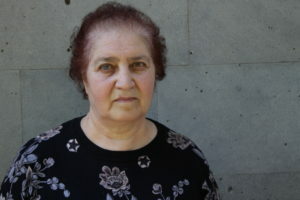 Soon, we were able to find a sponsor for her and Dr. Hovakimyan performed the surgery. Now, Nuritsa is getting her sight back.